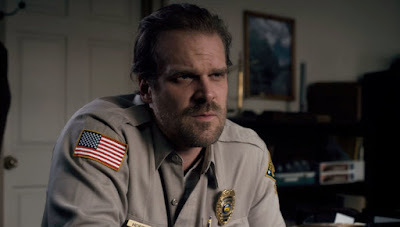 David Harbour was acting a long time both on the stage and screen before entering a different stratosphere with his role as Jim Hopper on Stranger Things. Since then he's become a fan-favorite which led to his taking over the Hellboy role in an upcoming reboot, and now he's making the biggest leap of all: joining the Marvel Cinematic Universe as part of the Black Widow cast. Harbour has joined Scarlett Johansson and Florence Pugh in Marvel's next female-led superhero movie. Plot details are under wraps, of course, as well as any info on Harbour's role but that's to be expected. Marvel hasn't even officially green lit the thing yet.